Shirts With Random Triangles: Four-star RB/Athlete Marcus Murphy Commits To Mississippi State's 2018 Recruiting Class. 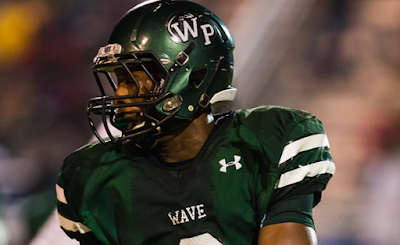 247Sports grades Murphy as a four-star athlete prospect. The recruiting site ranks Murphy at no. 14 among 2018 athlete prospects, at no. 2 among 2018 prospects from the state of Mississippi, and at no. 169 among 2018 prospects nationally. Murphy attends West Point High School in West Point, Ms. He stands 6'1, and weighs 170 lbs.